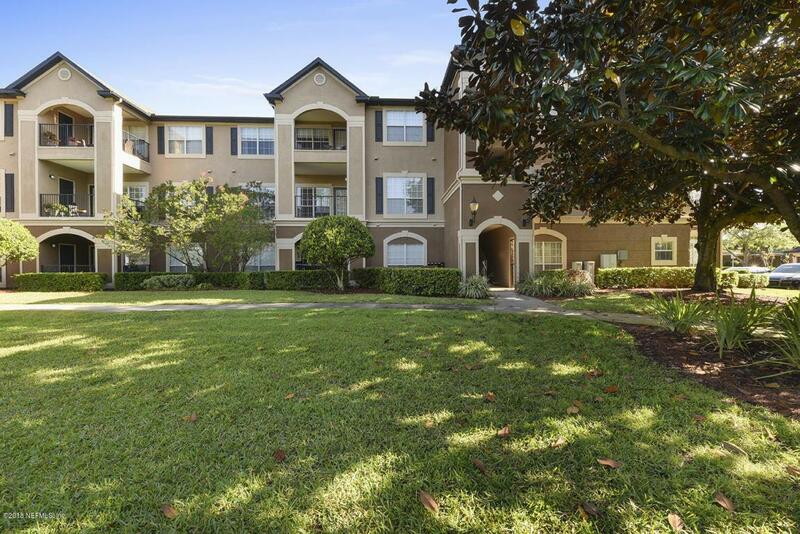 Well-kept, bright 2 bed, 2 bath condo in a prime central location! Kitchen features steel appliances, tile floors and black granite counter tops. Open floor plan opens into the carpeted living area. Living area has attaching door into the relaxing covered patio overlooking the water. Bedrooms both feature attached bathrooms. Resort-style living, just a short drive from the St Johns Town Center dining, shops, Ikea, Top Golf & more. Listing courtesy of Keller Williams Jacksonville Inc.